LOS ANGELES (May 11, 2016) — EY today announced that Steve Yi, Co-Founder and CEO of MediaAlpha is a finalist for the EY Entrepreneur Of The Year® 2016 Greater Los Angeles Region Award. Now celebrating its 30th year, the awards program recognizes entrepreneurs in over 145 cities and 60 countries who demonstrate excellence and extraordinary success in such areas as innovation, financial performance and personal commitment to their businesses and communities. Steve Yi was selected as a finalist by a panel of independent judges. Award winners will be announced at a black-tie Awards Gala on Tuesday, June 21, with more than 700 Founders, CEOs and other business leaders in attendance, at the Beverly Hilton in Beverly Hills, California. Regional award winners are eligible for consideration for the EY Entrepreneur Of The Year National Awards. Award winners in several national categories, as well as the overall national award winner, will be announced at the EY Entrepreneur Of The Year National Awards gala in Palm Springs, California, on November 19, 2016. The awards gala is the culminating event of the EY Strategic Growth ForumTM, the nation’s most prestigious gathering of high-growth, market-leading companies. Learn more about Steve Yi’s journey as an EY Entrepreneur Of The Year finalist by following @MediaAlpha. Follow all the latest program developments @EY_EOYUS using #EOYGLA and visit the Greater Los Angeles regional website for more information: ey.com/us/eoy/greaterla. 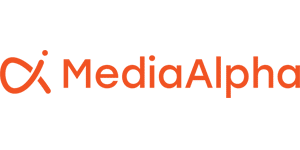 MediaAlpha develops real-time technology platforms for the buying and selling of high-intent, vertical-specific search media. MediaAlpha has revolutionized vertical search with the industry’s only fully integrated technology solution that brings transparency and efficiency to cost-per-click, call and lead advertising. MediaAlpha’s technology powers private and open exchanges in insurance, travel and other vertical-specific sectors. The company operates dual headquarters in Redmond, WA (Technology) and Los Angeles, CA (Sales, Marketing and Corporate) with additional offices in Tampa, FL and Carson City, NV. For more information on MediaAlpha, visit www.mediaalpha.com.